You’ve just finished a great workout. Your muscles are tired, you’re sweating, and you feel great, yet a bit dehydrated. 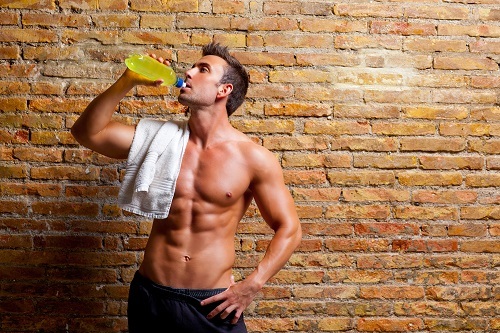 You grab a bottle of your favorite flavored sports drink and sip away. While that drink may help replenish things your body lost during exercise, at our West Caldwell dental office, we also know it’s probably damaging your teeth in the process. Usually when we talk about things that damage teeth, we focus on sugar. But sports drinks are different. Many of the common sports drinks don’t contain a whole lot of sugar, but they are highly acidic, and that’s what worries us. When teeth are exposed to high levels of acid, the acid actually eats away at the enamel. Enamel protects teeth from bacteria and damage, and without it, the chance for decay and cavities increases. What’s even more concerning is that once the enamel is gone, it’s gone, so it’s important to protect it while it’s there. Normally, bacteria wedges into tooth crevices and feeds off sugars obtained from food or drinks. As a byproduct, the bacteria then produce acid which we already learned breaks down the enamel and exposes teeth to decay. If the enamel is already compromised by a diet high in acid, the bacteria already have a place to nestle, and the cycle continues, leading to even more damage. If you’ve ever had a cavity, chances are you had a filling. But if decay isn’t caught in time for a simple filling, there may be a need for more complex treatment like a root canal. Now, before your nerves go on high alert from the term root canal, let us explain why it’s not such a scary thing. When decay gets so deep that it affects the tooth root, it’s painful. A root canal helps relieve that pain. If left untreated, it may become even more painful and could even result in an infection known as an abscess. A quick diagnosis and proactive treatment are the best ways to catch decay early, before higher level procedures are needed. This makes keeping appointments at our West Caldwell dental office every six months incredibly important. The earlier we catch a problem, the easier it is to fix. 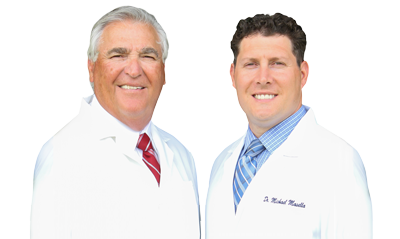 If you’re due for a visit, call today to schedule an appointment.